If you're in need of a deep fried fish fix, then Sydney Seafood may well be the place to go. 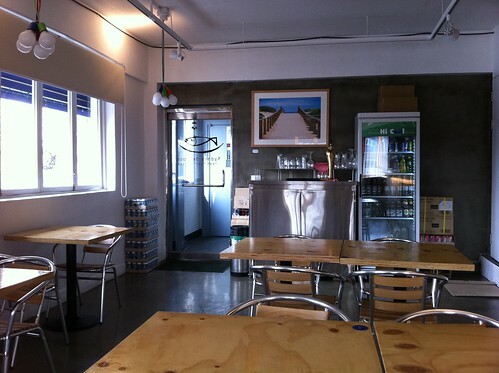 This sunny little cafe in Kyeongnidan is worth visiting for its 10,000 won fish and chips lunch special. You get two decent sized pieces of cod, plus a fistful of chips for your money, and the food is not bad at all. The batter is crunchy, the chips are well cooked and the atmosphere is relaxed. The owners have spent a number of years in Australia and are well versed in how to deep fry the denizens of the deep. To get to Sydney Seafood head out of Noksapyeong station and make your way down to Haebangcheon. The restaurant is on the second floor above Noxa. 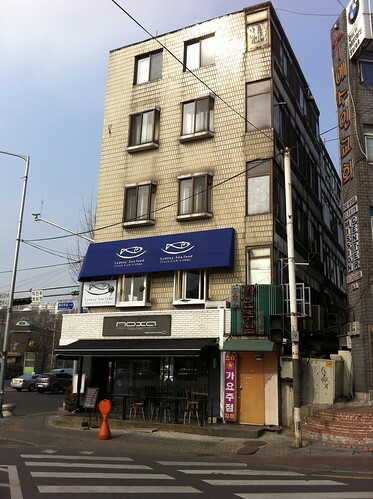 Their address is 671 Itaewon-dong, Yongsan-gu and you can call them on 02 790 2722. Agreed. 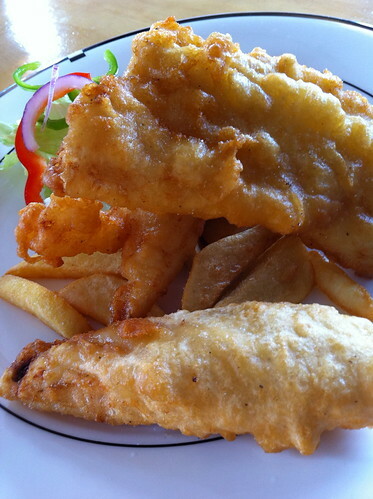 I have been there three or four times and (as an expat Brit) the fish and chips remind me of home. Much as I love Korean food, good grilled fish does seem to be off their radar.